A specially formulated, citrus based solvent degreasing cleaner which instantly liquefies a wide variety and range of soils. 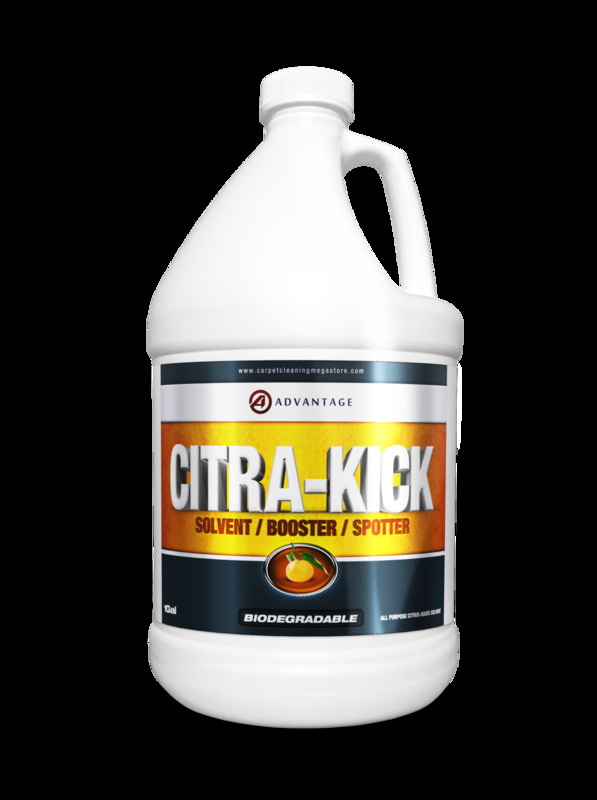 CITRA-KICK has a pleasant orange aroma and is very effective at cleaning up chewing gum, tar, grease, comnetics, oil, adhesives, and ink. It is also very effective as a booster in traffric lane and upholstery cleaners. CITRA-KICK gives you the cleaning power of a high alkaline degreaser without effecting the pH.